The year 1999 in wrestling was strange. WCW suffered and we saw the Finger Poke of Doom. WWF was making money and led by Rock and Austin, but the matches and the shows in general lacked something. For every positive in this year, there could be a case made for a negative. One thing that WWF seemed to do right for the most part was their out of the US events and with No Mercy in the UK, they managed to create an interesting event. 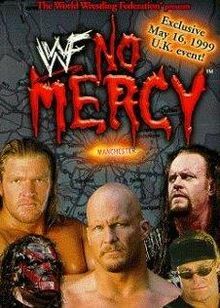 No one would have imagined that it would become a regular PPV for WWF shortly after, and as No Mercy prepares to make a comeback in a few weeks, we look back at the very first No Mercy and pay homage. Let's travel to May 1999 and the UK and look at this event. -Now.... let's just start off this retro review by saying this: this match wasn't significant and was essentially a squash. Tiger won the match in a little over a minute and this was as close to a joke of a match as you can. Not off to a good start here, BUT it can only get better from here, right? -It was a bit strange. The Brood decided to take their own path and ended up feuding with the Ministry. While I was a fan of the Ministry and thought Bradshaw and Faarooq were really talented, young True was rooting for The Brood. This match wasn't anything special, but it was entertaining in most ways, as The Brood took the Ministry to the limit, before falling to Bradshaw and a clothesline from Hell. Gangrel would take the pin unfortunately and the Ministry would keep their momentum going. -Another clunker of a match. Man, I always cringe on the story of Droz, but long before his big accident, Droz was pretty decent in the ring, though somewhat sloppy. However, this match added nothing to the event, and while Steve walked away with the victory. This match went about 8 minutes and while it was okay, it represents a problem a lot of WWE events had in 1999: filler. It was a filler match and to be fair, 70% of the card was just filler matches anyways, as there were only three main event or big time caliber matches and the rest of the card fell flat. I'd like to think that some of the roster couldn't make it to this show, thus a lack of Rock, Road Dogg, and some other big names here for this one event. Regardless, Steve Blackman wins. -The last time we saw Sable on WWF for 4 years was basically this. Nicole Bass was substituted for her and destroyed Tori in 30 seconds. Nicole Bass was horrible and everything about her (I think it was a her) was just all wrong. No wrestling ability. No charisma. Just big and burly and pretty much a strange character. This was useless and had no purpose. So far, this event is going quite awfully. Maybe the main events can pick the pace up? Please? -This was one of the more interesting matches, though it was a bit overbooked and seemed a bit too similar to their WrestleMania 15 contest, it was still enjoyable. X-Pac was always good to carry someone to a good match, and this was pretty decent, just had too much interference. Triple H and Chyna interfered and helped Shane retain the title, which like I mentioned was very similar to the finish at WrestleMania 15 minus the shocking heel turn of HHH. Still, exciting stuff to witness, though I would have liked to see less interference. -This would have been pretty good to watch if there were partners in this match. However, what we got was two solid workers going at it for about 13 minutes and while this match could have been slightly better, it was enjoyable and the crowd seemed to most be into it. My only issue was that Billy Gunn won this match with a Fameasser, and I felt Mankind should have gotten the victory here. Otherwise it was a solid match that would have been slightly more exciting as a tag team match with Road Dogg or someone else involved. -To my knowledge, this is the only time this match ever really took place in this manner. Ministry Taker. Corporate Triple H as a heel. Austin in his 1999 prime. 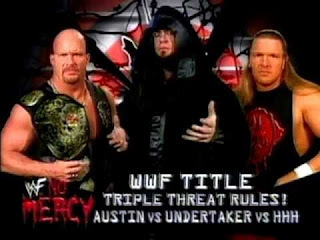 While once could say this was a feud somewhat in 2001 when Austin and Triple H teamed up, this was the only time this match occurred. It was interesting, as it essentially was supposed to be a glorified handicap match, but through prime time Attitude Era over booking, Austin managed to get the win in this Anything Goes match that saw Kane, X-Pac, The Ministry, The Brood, and Mankind all get involved. 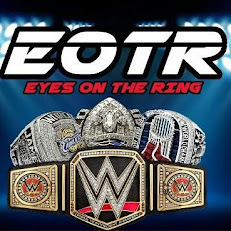 Austin retains his title as expected, and the involvement of so much talent in the main event had to be due to the shortened roster available at the time. Still, this match was good and very exciting, which is what we loved the Attitude Era for. This almost feels like a WIRTB because the show itself was a bit lackluster overall and had so many unnecessary matches. I'd rank this special UK event as a 5 out of 10 because it had three final decent matches, but mostly everything else was pretty lackluster or not entertaining like that. Blame it on the instant gratification of the time, but the Attitude Era has very little replay value for most of its matches aside from the main event. No Mercy UK was a pretty weak event, with a couple of good highlights.